This entry was posted in Best Practices, Calscape, Garden Design, Gardening Tips, Wildflowers. Bookmark the permalink. Wonderful article. Informative and inspirational. I really appreciate your article. 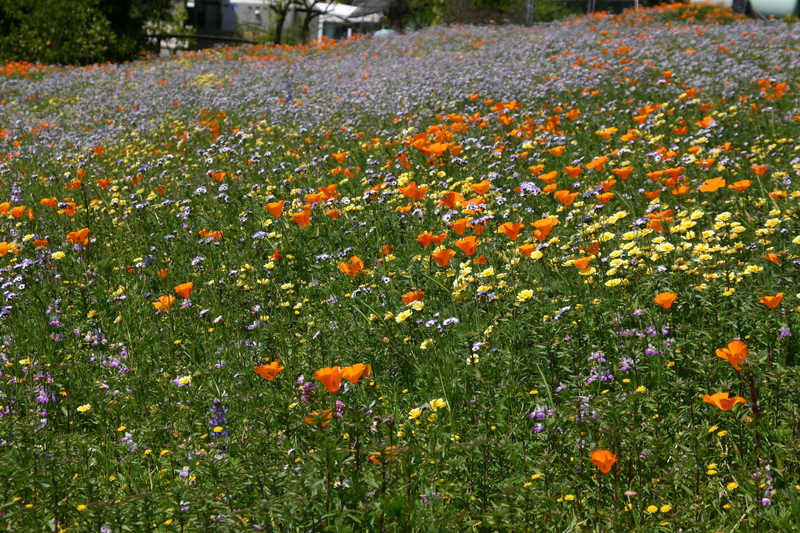 I recently started work on a Calfornia native meadow, converting from a lawn. I’ve done quite a few lawn conversions to native plants, but this is my first meadow project. After letting the lawn go brown for months and doing solarization (admittedly, with plastic that the deer cut through with their hooves), I then watered to bring up any remaining weed seeds. I discovered that this area still contained live Bermuda grass. I realized that weeding wouldn’t solve the problem. Then I tried a weed-burner. Eventually I gave up, realizing that I’d never get down to the roots of the Bermuda grass, so I still wasn’t solving the problem. So I applied the method Master Gardeners then recommended: sheet mulching with cardboard and 4 inches of mulch. (I did 3 inches of arbor mulch, with 1 inch of nice-looking mulch on top.) I’ve done this before with success on other lawn-to-native projects. I’m disappointed that I have to wait all the way until next fall to plant, but I’m resigned that this is the only way to know we’ll be rid of the Bermuda grass. Is there a reason you didn’t mention this approach. Is it because this requires more effort than what you do suggest? Or because it’s so seldom needed? 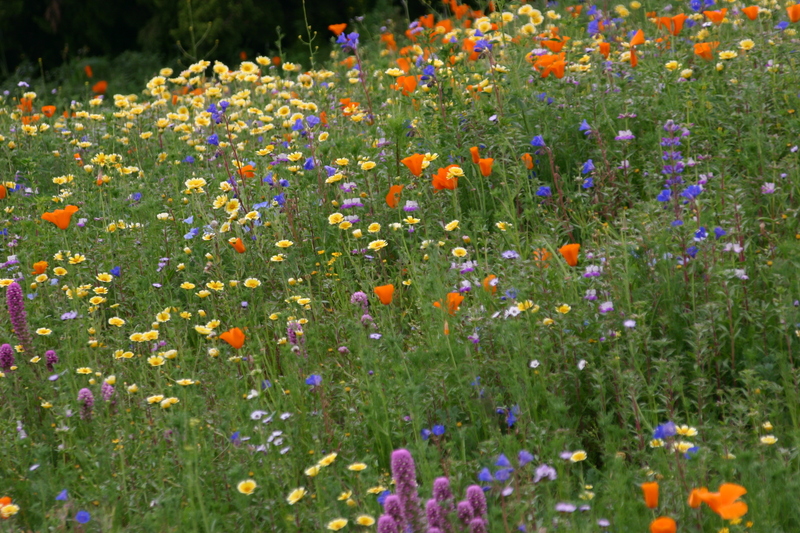 Chrissy, have you started planting your meadow? I would love an update on your project as my husband and I are seriously considering a meadow at our new home outside of Vista. Thanks! Good timing! After doing sheet mulching for a year(! ), we have just planted our native grasses! We removed the sheet mulching to find no traces of Bermuda grass at all —- and the cardboard had even decomposed completely. We planted over 750 native grass plugs, using a dibbler. It’s a great tool for making a narrow pointy hole. I used 3 different species. I left some small spaces to interplant perennials once the grasses are established.